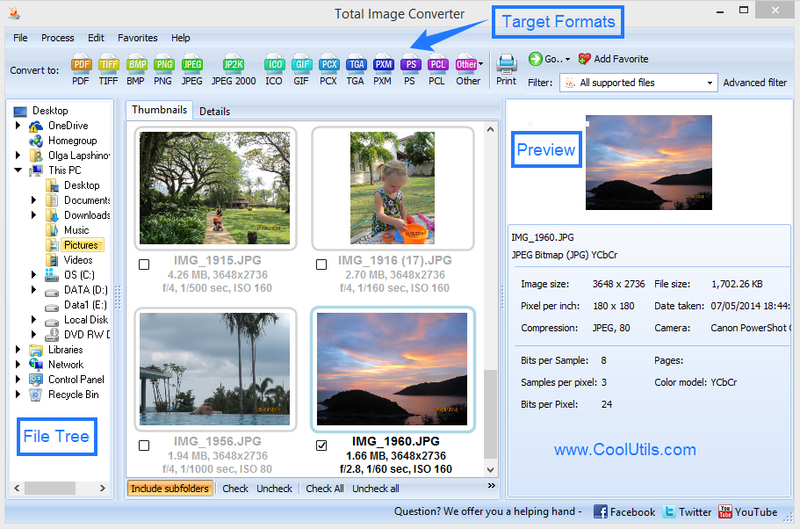 As for TIFF into TGA conversion, you can set transformation and transparency parameters and add watermarks. This can be text commentaries, logotype or some image uploaded from a file. You can use a few watermarks at a time, setting specific positioning for them. Also you can specify location where you would like to save converted copies. The settings menu pops up automatically, after you switch TIFF converter mode. To do this, check off TIFF source files and press TGA button at the top format bar. After all settings are done, the only thing left to do is pressing on Start! button. Depending on the amount of files in batch, you will get them converted in a few seconds or a few minutes. The number of files for one batch is unlimited. 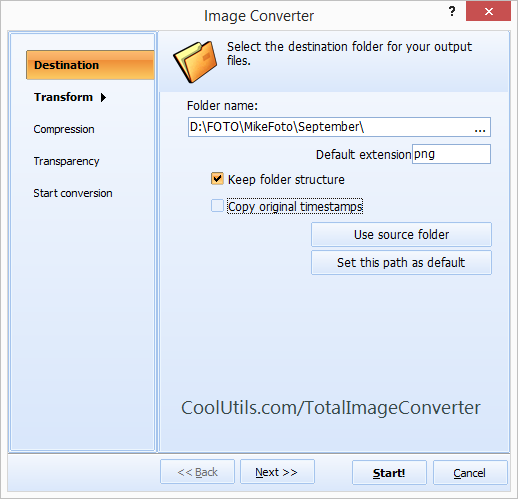 If you would like to use this batch image converter for processing a single file, just check it off as the only source in batch. 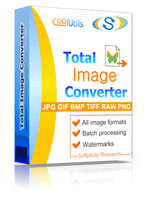 Total Image Converter is flexible that gives ability to adjust it for any kind of graphic conversion needs. 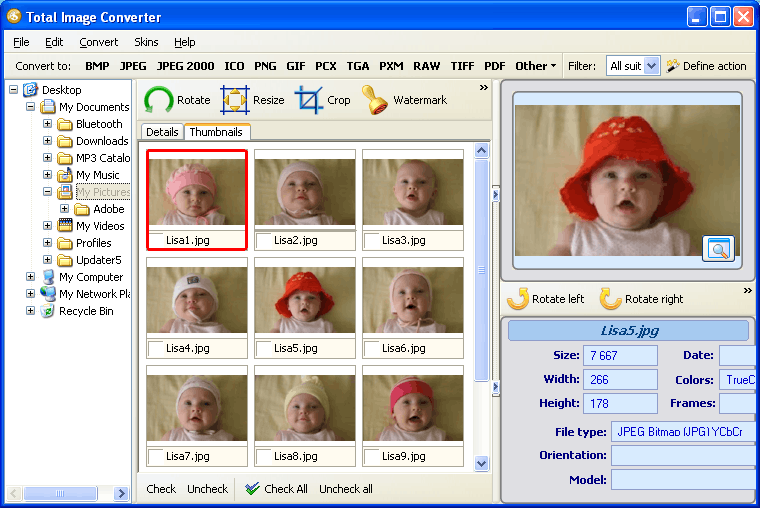 You can also use it as an image editor, the basic editing functions are integrated into it. Get this multi-functional batch converter right here!